Can you even imagine an evil unicorn? When Maisie faces three of them, this small pony shows her big heart! When are unicorns not completely awesome? When they’re Grizelda the witch’s friends. Then their magical powers become all twisted and horrible. It’s enough to scare anyone – except for brave little Maisie! This tiny Shetland pony is still very small. She’s not even big enough to help plant magical gems in Friendship Forest. 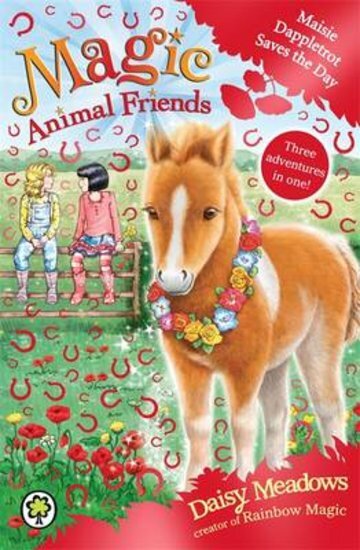 But when she sees the scary unicorns, Maisie knows she has to do something very BIG. Like: save her world!